GOALS: The goal of this course is to introduce students to both emerging and perennial ethical issues facing information professionals. 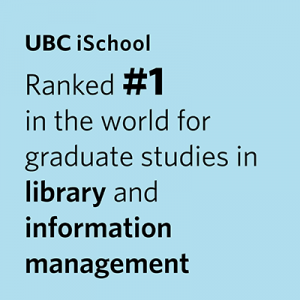 The course will assist students in developing the skills needed to identify, analyze, and address ethical quandaries throughout their professional careers in information studies, whether in Canada or abroad. NOTE: Topics discussed may include sensitive/offensive material related to issues of intellectual freedom (e.g., sexually explicit heterosexual and gay/lesbian materials, witchcraft, hate literature, religious/blasphemous information, seditious or war-time information, information regarding illegal acts or substances, etc. ).